"The Award gives you the chance to do things that you never thought you could do, and to expose yourself to so many amazing people and experiences that you can't even imagine"
There are three levels to the Award—Bronze, Silver and Gold—each progressively more challenging. Each level has four specific sections—Voluntary Service, Skills, Physical Recreation and Adventurous Journey (with a fifth—Residential Project—at Gold level)—that you'll choose your activities from. Note that you can start your Silver or Gold Award without completing any previous levels (this is known as 'direct entry') - provided that you meet the age requirements (i.e. 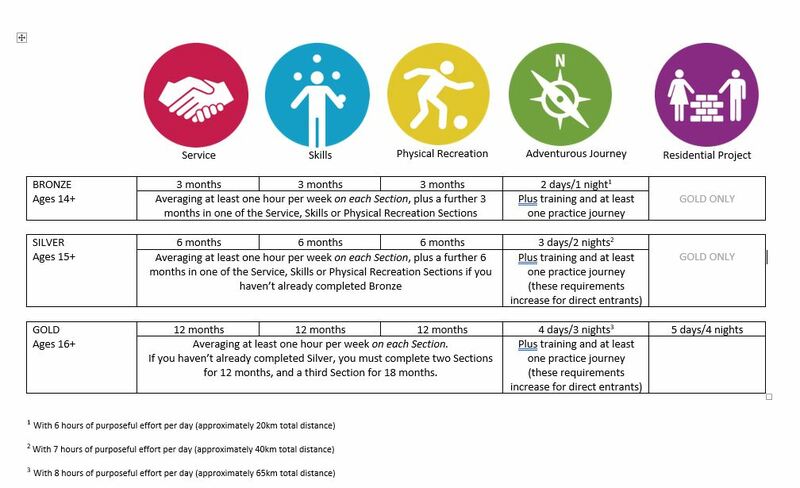 15 for Silver, and 16 for Gold) plus additional time and training requirements, outlined in full here. The Award is your own because you design it. You choose the activities that suit your particular passions and ambitions, then set your own goals, and record your own progress. The only person you'll compete against is yourself, by challenging your own beliefs about what you can achieve. Original generation time 3.7999 seconds. Cache Loaded in: 0.0008 seconds.